The above info came from Elwin Blaine Coldiron, and was edited by yours truly (contact me). The image came from Wikipedia. In yet another Tenchi Muyo! 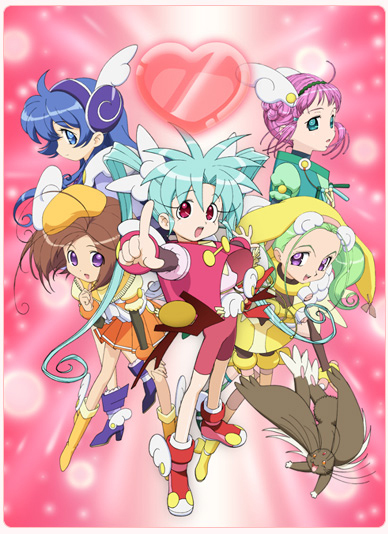 spin-off, this series once again features Sasami, and again as a magical girl. But this time, she has company. Sasami Iwakura had been born with magical powers, but was forbidden by her parents to use them. However, when she transfers to a new school, she discovers others with similar powers. With a little help from her cooking teacher Washu and Washu's pet Ryo-Ohki, Sasami and her new friends are going to find out that magic can be a wonderful thing.